Stockist details for our Playroom and your questions answered! 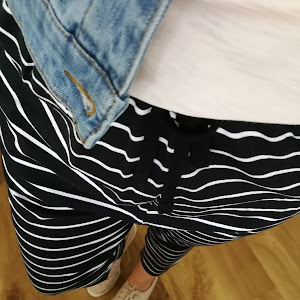 Blogging TWICE in one week - I know - it is a record for me at the moment! 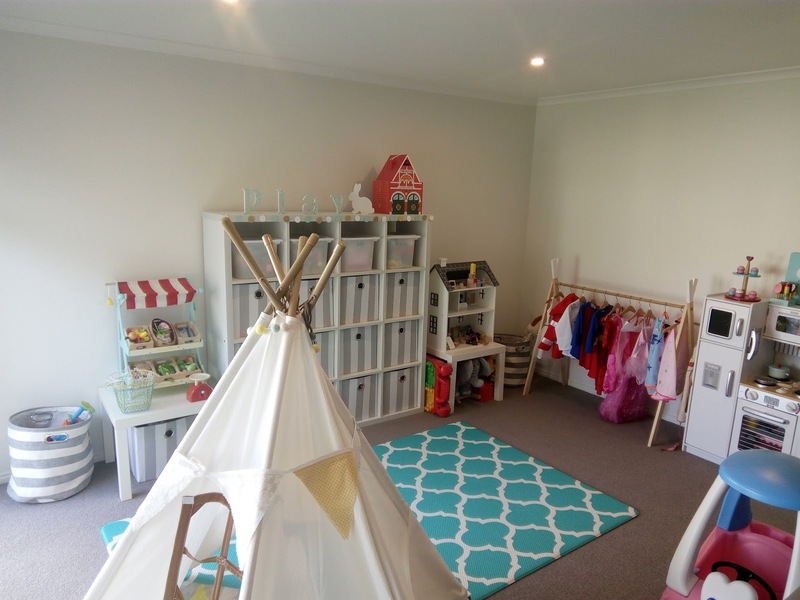 Earlier on this week I shared a look into our Playroom. You can check out the rest of the pictures and the post here if you missed it. As promised here are the stockist details and the answers to your questions too! 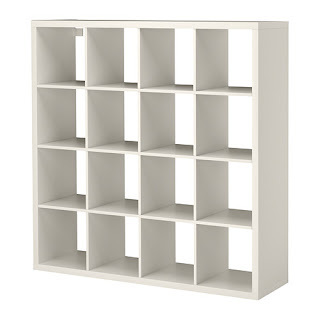 Our Cube Storage Unit is from Ikea and is part of the Kallax range. If this one is too big, they also come in a range of different sizes and colours too! Check out the Kallax unit here. 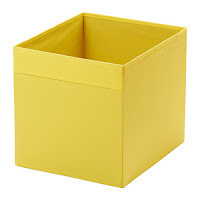 Masters Home Improvement also sell these storage units too if you are not handy to an Ikea store. You can check out their range here. These were purchased from Bunnings almost 2 years ago and are sadly no longer available. Very annoying as I have a few I would like to replace and I still adore the print! You can pick up the correct sized fabric cubes for the Kallax unit from Ikea - they are called the Drona Box and come in a wide range of colours. Just be sure to grab the exact number you need (and maybe a few spares) as they seem to rotate their colours and sometimes your favourite never comes back in to stock! 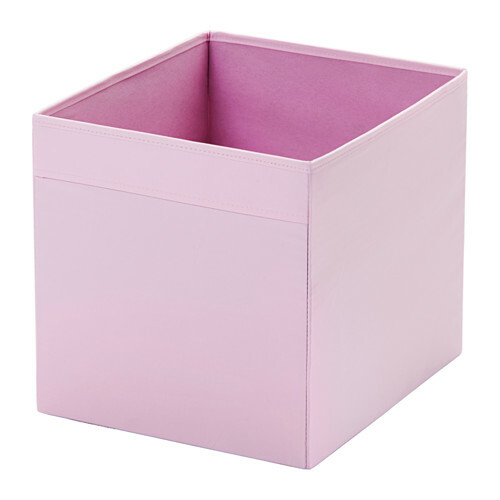 You can check out the Drona Box range of colours here. 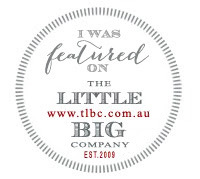 This is a KidKraft branded item that was purchased from Big W as part of their mid year toy catalogue 2 years ago (was a gift from Santa). 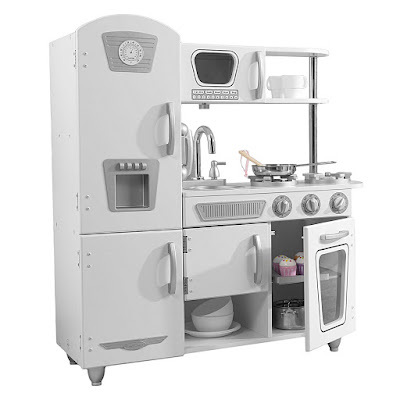 This kitchen gets hammered on a daily basis and it is still going strong! I really wanted something neutral, but this proved so hard to find at the time! I cannot see my exact kitchen anymore in white, this seems to be the updated KidKraft neutral version which I spotted at Zanui. You can shop that here. 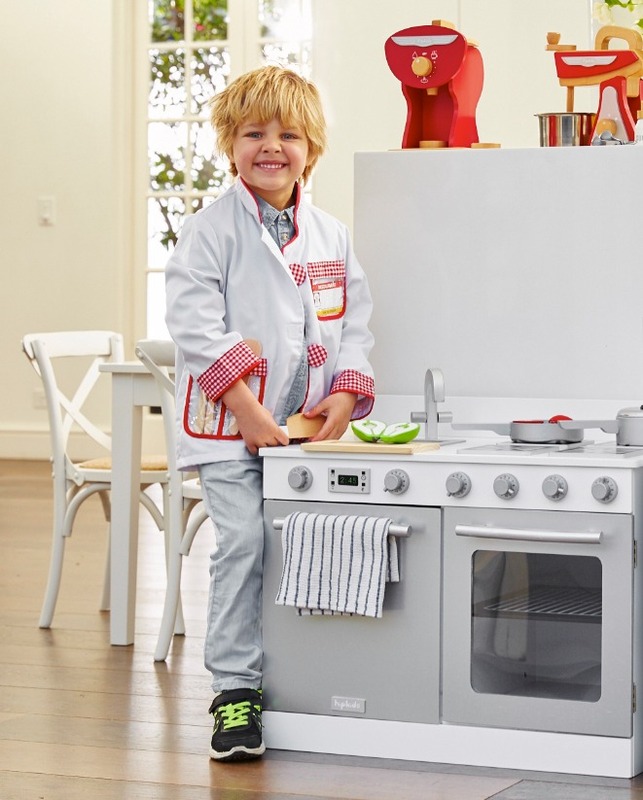 Hip Kids also have a gorgeous little grey and white version in their range. You can check that out here. If you are after a bit of colour, Zanui have a Pastel and Brights version in the same design as we have available online. You can shop that here. I must admit I absolutely love all of the storage space ours has with the cupboards and the fact it is big enough to have two little bodies play side by side at once. I am OBSESSED with Le Toy Van and not just because their coloured wooden toys match my colour scheme - but because they last! 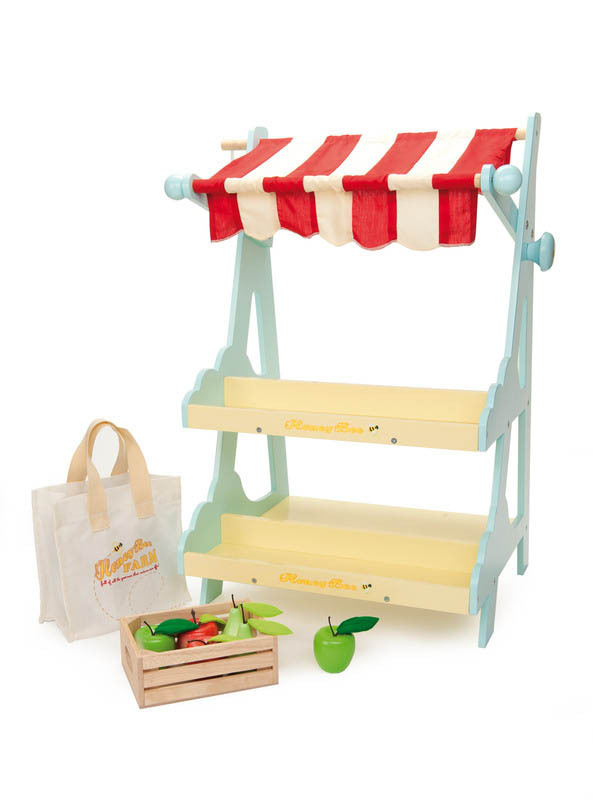 The Stand is called the Honeybee Market Stall it is available through Lime Tree Kids. You can check that out here. 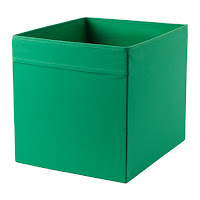 The stand comes with one crate of goodies and you can purchase the other crates individually. This is another thing that we use SO much. The kids absolutely love using it as a shop and they use the ingredients to whip up food in their kitchen too! 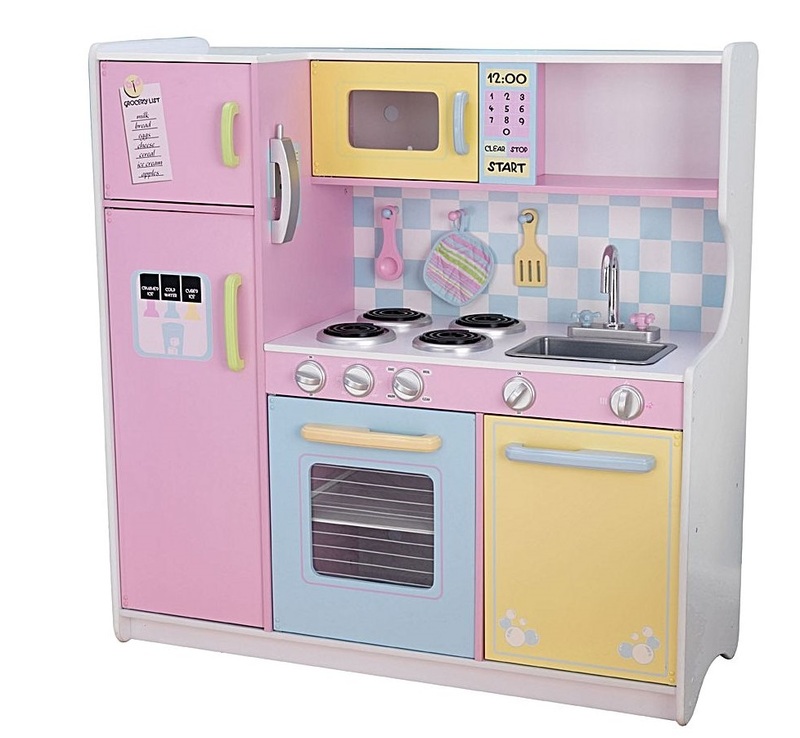 Most of the other wooden toys on/in our toy kitchen are also Le Toy Van, which can be purchased through Lime Tree Kids. I also have quite the collection from Aldi who bring out amazing quality wooden food sets a few times a year with their Special Buys. 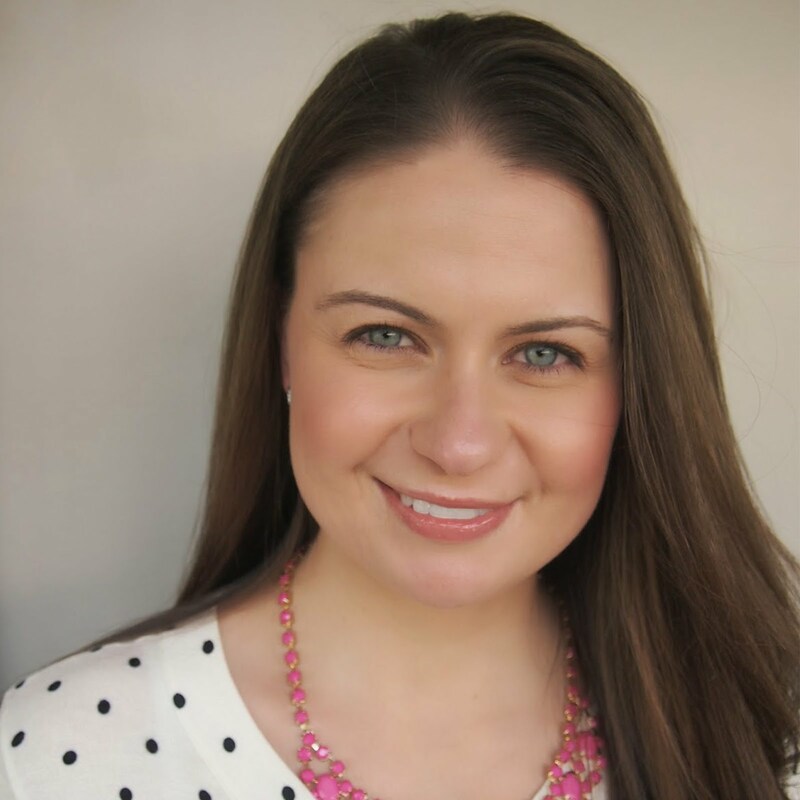 Feel free to follow me on Instagram or Facebook and I will be sure to warn you when they are coming - hope it is soon! Kmart also seem to bring out some wooden toys from time to time, so keep your eyes peeled there too! 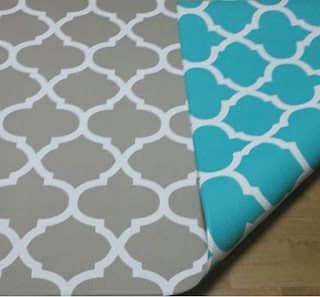 This is a Bumpa Mat from Ecoviva. One of the best investments we have made. This mat is durable, easy to clean and so comfy to play on. 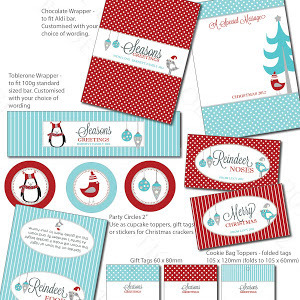 I love that they are reversible so that you can update and change the look of your room too. I am waiting for the new stock to arrive so that I can put one of these in our family room instead of a traditional rug, they are that good! 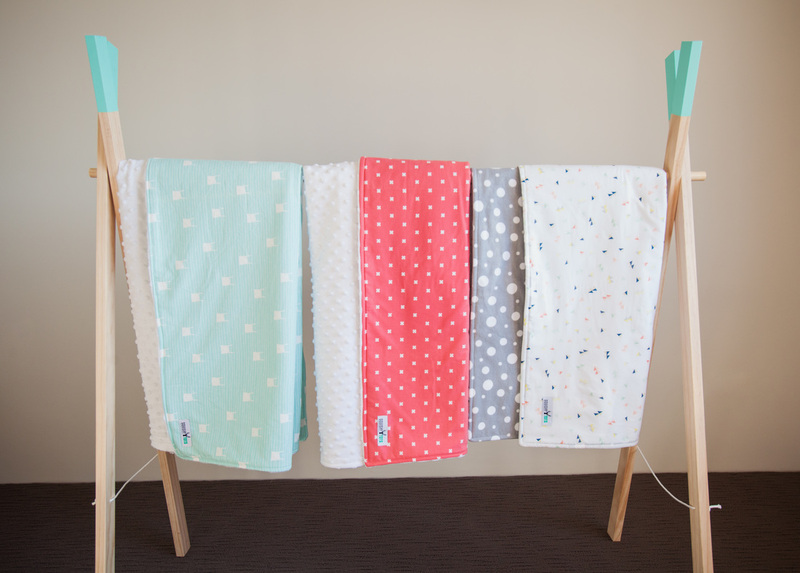 You can check out the Bumpa Mat range here. Honestly the day I installed the dress up rack in the Playroom it was like Christmas all over again! The kids were SO excited that they could access all of their dress ups in a little wardrobe. It also makes things so much easier to store as previously we had them overspilling in a Trofast box. The dress up accessories (hats, swords, masks etc) all live in the Trofast containers at the top of the Cube Unit. 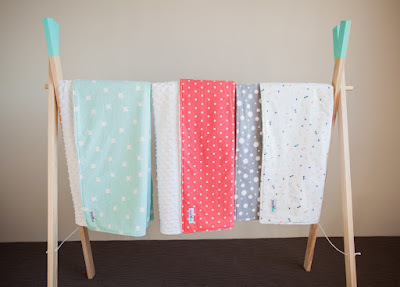 For a limited time, the lovely ladies at Squishy Tots are giving you 10% off the price of your rack if you enter utterly10 in at the checkout. This is valid until 31 July 2016. You can check out and shop the racks here. 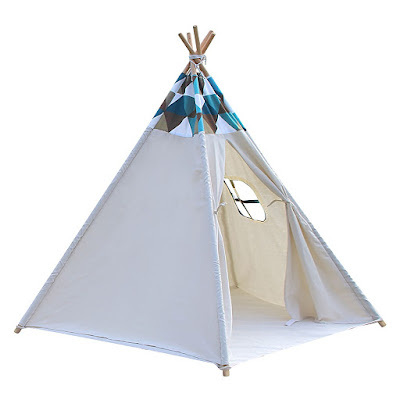 Once again when picking the Tee Pee, I wanted something neutral that wouldn't look too out of place at the back of our lounge room! 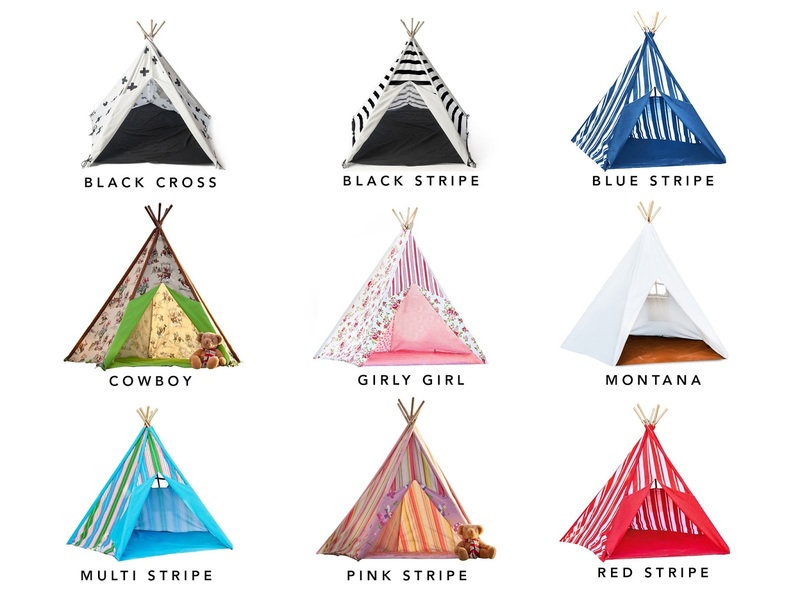 I ended up deciding on the Mocka Tee Pee in Montana - but as you can see if colour is more your thing - they have stacks to choose from! You can shop the range here. 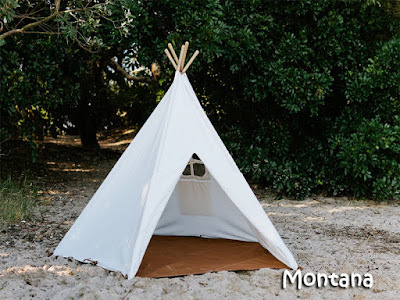 I also love this neutral version (with white base) from Resort Living. You can check that out here. My only warning with tee pees is to never underestimate how much room they can take up! As you can see we have quite a good sized room, but this can really eat in to the space. I tend to take it down every few months and pop out our ride on collection or train table instead. Hopefully that covers everything and answers all of the questions that you had? If not, please feel free to comment below or on my Facebook page and I will be sure to get back to you. Thank you for stopping by!